B & S Steel Supply are based in London and supply steel beams and other steel products nationwide. In the past 20 years of operation, we have expanded from our Wellingborough and London bases thanks to our extensive client base and award winning customer service reputation combined with top class steel supply. Specialising in all types of steel reinforcement products. We are experts in timely delivery with guaranteed next day delivery making us your number 1 choice. We are also stainless steel stockholders and aluminium stockists, supplying the catering and manufacturing industry as well as the London transport system. 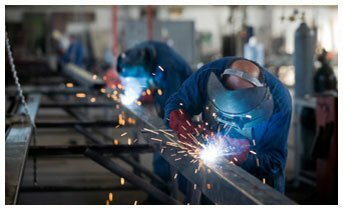 Our commercial services include steel fabrication and we have a number of products available for domestic use. For the number 1 steel stockists, don’t hesitate to give our friendly customer service team a call, or e-mail us via the contact us page and request a call back, and we will contact you as quickly as possible to discuss your requirements. If you need steel beams you can either visit our page by clicking here, or you can call us on 0208 842 4855. © B & S Steel Supply 2015 All Rights Reserved.